Reunite with your family in this thrilling adventure. You're about to rejoin your wife and son after finally escaping from a strange old temple, but suddenly you have a bad fall. After waking up, a mysterious contact briefs you on a mission to find a USB key, which will help you get closer to regaining your beloved family. Unfortunately it isn't as easy as it seems. There are challenging obstacles that await you. 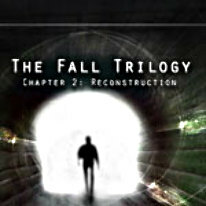 Play The Fall Trilogy - Chapter 2: Reconstruction reunite with your loved ones in this thrilling adventure.